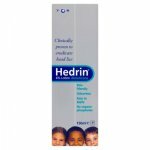 Now, treating head lice can be as fuss-free as a hair wash. Just use Hedrin All in One Shampoo during your normal bath time routine. 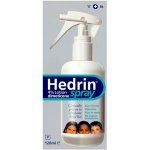 Hedrin Shampoo has been shown to kill lice in ten minutes. What's more it makes louse egg (nit) removal easy; it's more than twice as effective as combing alone, and it leaves hair clean and fresh. 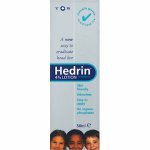 Hedrin All in One Shampoo is pesticide-free, so you can use it whenever you need to. 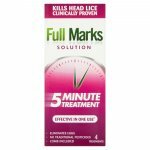 It's complete head lice treatment, without the drama. Comb through a section at a time to remove lice and eggs (nits), sliding the comb provided from root to tip, making sure that the hair runs through the base of the teeth of the comb. 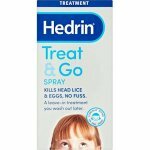 A further check should be carried out one week after application to make sure that no lice or eggs have managed to escape treatment. 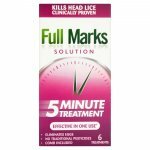 If any live lice are re-applied. For external use only on hair and scalp. Use under adult supervision. 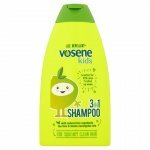 Do not use on children under 1 year. Do not use on skin that is damaged, infected or bleeding. Avoid contact with the eyes. If accidentally introduced into the eyes, flush with plenty of water. If irritation persists, seek medical advice. Do not use if sensitive to any of the ingredients. Stop use if skin irritation or rash occurs during use. Wash skin with soap and water and seek medical advice. Use during pregnancy or breastfeeding is unlikely to have any ill effects when used as directed. If unsure, talk to your doctor or pharmacist. If you notice these or any other side effects, speak to your healthcare practitioner, they will tell you what to do. Baths, shower cubicles, etc., may become slippery when using the shampoo. Wash any residues away with detergent and warm water. Formulated with non-volatile ingredients, however, observe normal safety precautions and always keep hair away from naked flames. Isononyl Isononanoate, MIPA-Laureth Sulfate, Laureth-4, Cocamide DEA.